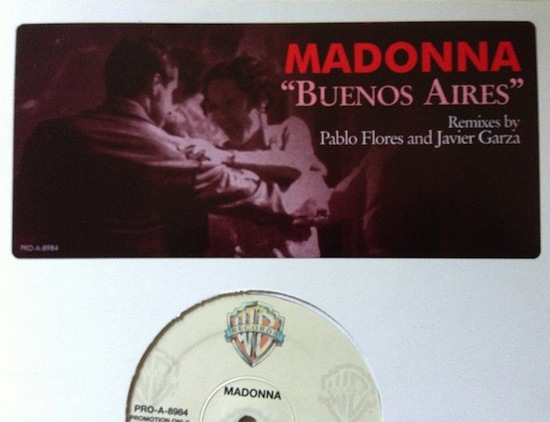 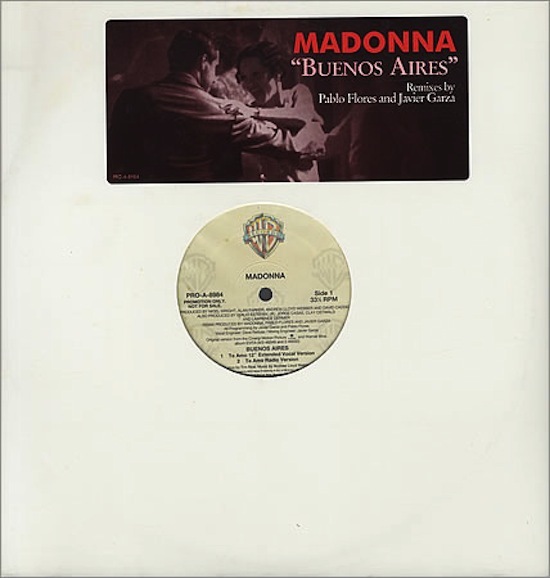 On August 19 1997, Buenos Aires (from Evita) was released as a promo-only single to club DJs and radio stations in the USA to promote Evita on video. 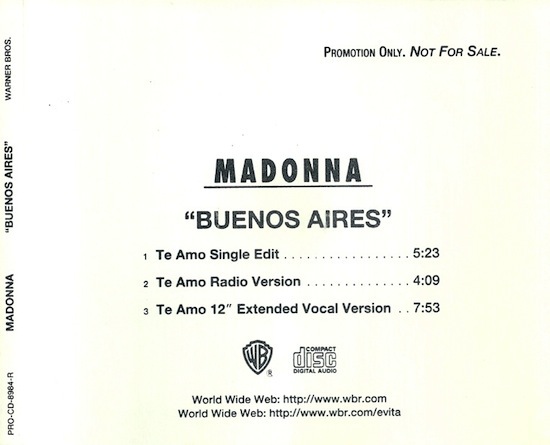 I Love Buenos Aires! 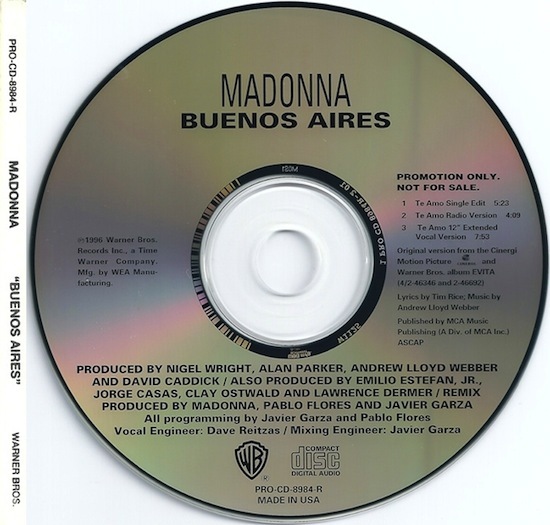 Kind of like an earlier Vogue, without the electronica! 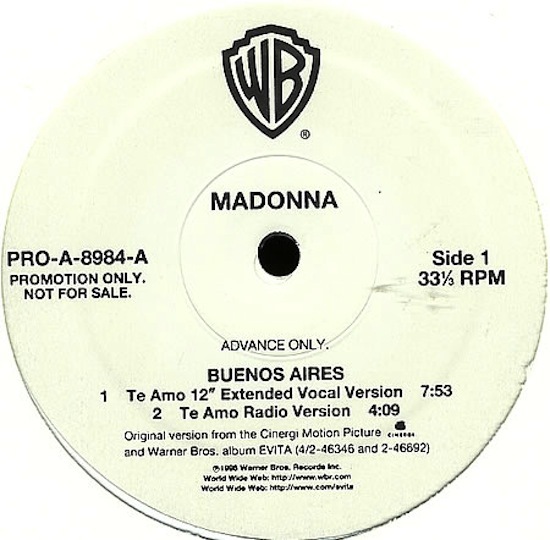 Madonna’s in great voice here!